Keenpac has been selected by Bicester Village to produce bespoke retail packaging in celebration of its 15 Year Anniversary. The bag, which has been designed specially for Bicester Village by Paul Smith, Alice Temperley and Cath Kidston, will go on sale later this month. 85% of the profits will go to Great Ormond Street Hospital. 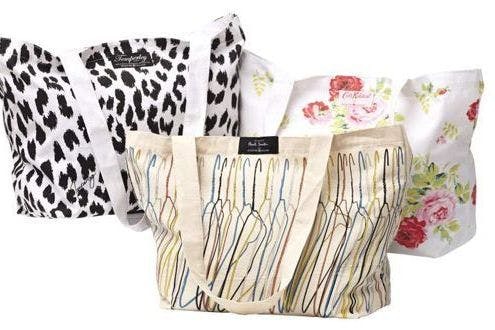 This special retail bag is one in a number of activities, including an online auction, that have been created to mark the occasion, with profits going to Great Ormond Street, the nominated charity for the anniversary celebrations. To find out more about Bicester Village’s 15 Year Anniversary Activities including this bespoke bag, visit http://timeless.bicestervillage.com.